Hair loss is a problem for many men. By the age of 20, approximately 20 percent of the men show noticeable signs of hair loss. This rises to 80 percent by the age of 80. The solution is Neo Hair Lotion. It recovers lost hair and revitalizes damaged hair. It can be used by men and women alike. 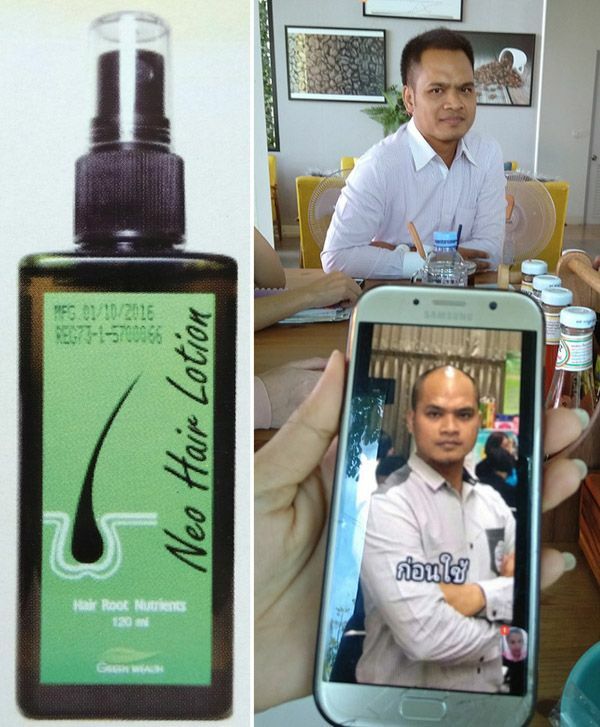 Neo Hair Lotion was created by Dr. Phaiboon Maraphruekwan in Thailand. He learned about herbs from his father, who was a traditional doctor. Dr. Phaiboon has made many studies about usage of herbs in modern medicine, and he has produced several cosmetic and health products from herbs. Cantaloupe can hasten the growth of hair, improve the hairs’ strength, inhibit loss of hair, soften the hair and make the hair shiny. White ginseng can stimulate the blood circulation around the head in order to transfer nutrients to the hair roots, make the hair roots active, hasten the growth of the hair, nourish the hairs and reduce loss of hair. She Palmetto, a natural extract of saw palms that can reduce the effects of DHT, a derivative of testosterone that prevents the hair to take up nutrients from the blood. Hair treatment wax from coconut and wild honey can repair and nourish the hair roots, protect the hair from sunlight and pollutants, and treat dried and damaged hair. 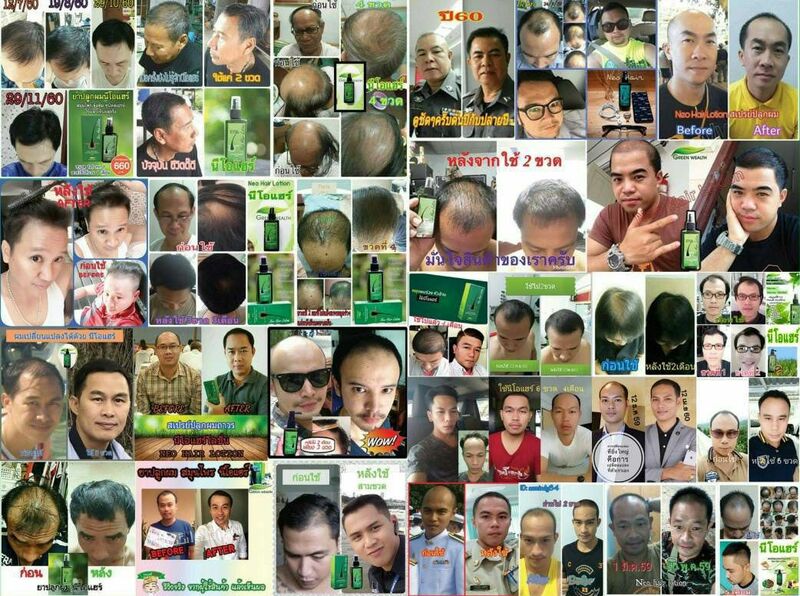 ​Neo Hair Lotion can be used by both men and women. ​You must have discipline and be patient. For best result, apply Neo Hair Lotion every morning and evening. Wash and dry your hair and scalp. For best effect, use shampoo free from chemicals (baby shampoo). Massage your scalp to stimulate the blood circulation. Spray Neo Hair Lotion on your scalp and hair. Do not wash it away. One bottle lasts for a month.